Fentanyl is a potent opioid drug prescribed to treat breakthrough cancer pain in patients who are already tolerant to other pain medications.1 It is highly addictive, and chronic use can lead to physical dependence. Unpleasant withdrawal symptoms can occur when a person decides to quit using. Who Answers? to find a fentanyl detox program that best suits your needs. Not everyone will experience these withdrawal effects. A person’s overall health, age, how long they have used fentanyl, the amount of fentanyl used, and the presence of co-occurring addictions all impact the severity of withdrawal symptoms. Fentanyl withdrawal syndrome is rarely life-threatening. Withdrawal can sometimes have serious side effects or complications, though these are rare. Dehydration: Severe diarrhea and vomiting can also result in dehydration and electrolyte imbalances,4 which can lead to fainting and serious complications if not treated. 6-12 hours after the last dose: Withdrawal symptoms begin. Early symptoms include anxiety, muscle aches, insomnia, runny nose, and sweating. 2-4 days: The peak of withdrawal effects usually occurs. Symptoms include stomach cramps, diarrhea, nausea, and vomiting. Withdrawal is difficult and uncomfortable, with bone pain being quite severe, in addition to nausea and vomiting being hard to endure. Many people who try to withdraw from fentanyl on their own struggle to manage the symptoms without professional help. Relapse is common. Fortunately, many detox and treatment programs are available to help someone quit fentanyl. Professional treatment can help to alleviate uncomfortable, physical symptoms and provide emotional support while detoxing from the drug. Detox is designed to help a person make it through the initial stages of withdrawal. However, recovery from addiction is a lifelong battle and does not end when the person completes detox. If the issues that led to the addiction are not addressed, it is likely that a person will begin using fentanyl or other drugs when faced with stress or unwanted emotions. 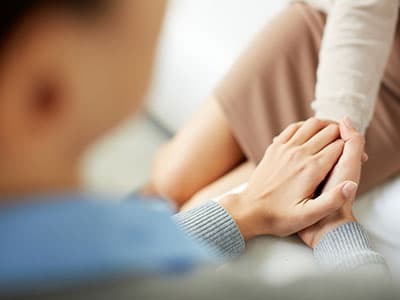 Most programs, whether inpatient or outpatient, provide a combination of individual or group therapy, medical assessments, frequent evaluations of a person’s medical needs, and medication management. Many inpatient programs offer detox, and some outpatient programs offer it as well. Aftercare or relapse prevention plans. Detox centers: Detox programs can be the first step to achieving sobriety. A detox center can provide medical oversight and supportive counseling services to people seeking recovery from a fentanyl addiction. Detox programs are short-term, and people typically transfer into an inpatient or outpatient recovery program once the program has been completed. Inpatient: Inpatient rehab treatment requires that a person live at the recovery center for the duration of the program. It provides 24-hour care and support and allows the person to escape everyday stressors and drug-using environments. Outpatient: Outpatient rehab treatment is often a step down from an inpatient program. These programs provide ongoing support and counseling to a person in recovery, but allow them the freedom to live at home. This option is beneficial for those who are reluctant or otherwise unable to take the time off work or school to enter a residential treatment program. Some programs may provide services for several hours a day, 5 days a week, while others may consist of 1-2 hours of treatment a day, for 1-3 days per week. Partial hospitalization: This is an intensive outpatient program that typically meets several hours per day. Many people who complete an inpatient program may transfer to a partial hospitalization program as part of an aftercare plan. Medications can make withdrawal easier and more comfortable. Medications can make fentanyl detox and withdrawal easier and more comfortable. Some people stay on these medications for an extended period of time, while others taper off of them in a few weeks. If you or your loved one is suffering from an addiction to fentanyl, please call 1-888-319-2606 Who Answers? today to speak with a treatment referral specialist about finding the best program to fit your needs. How to Find the Best Residential Opioid Recovery Center. Find Reputable Opioid and Opiate Recovery Hotline. Opiate Addiction: Signs, Symptoms, Effects, and Treatment.
. U.S. Library of Medicine. (2016). Fentanyl.
. National Institute on Drug Abuse (2014). Prescription drug abuse: How opioids affect the brain and body.
. Drug Enforcement Administration (2015). Drug Fact Sheets: Fentanyl.
. U.S. National Library of Medicine. (2016). Medline Plus: Opiate and opioid withdrawal.
. National Drug and Alcohol Research Centre. Commonwealth of Australia. (2004). Treatment options for heroin and other opioid dependence. A guide for families and carers.
. Food and Drug Administration. (2014). Medication Guide: Suboxone.